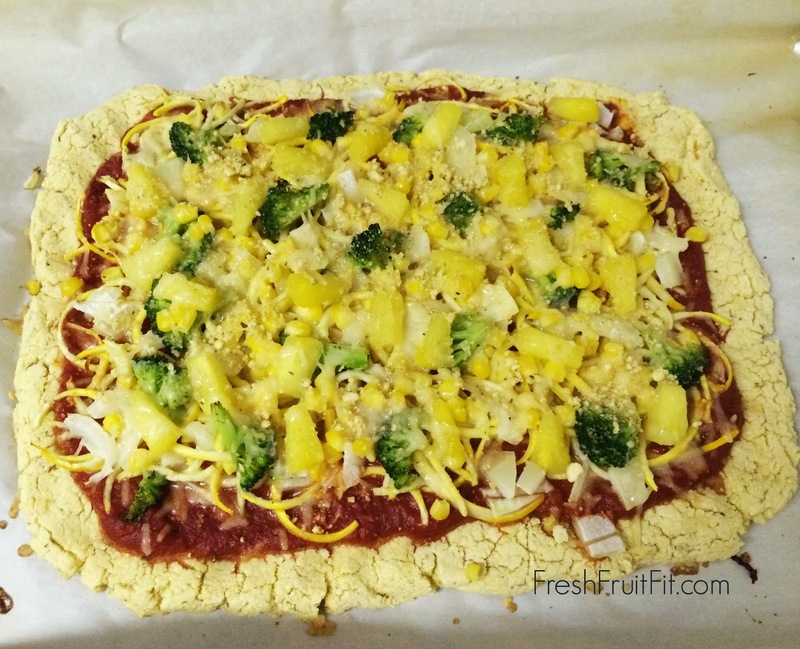 Fresh Fruit Fit: Pizza Party! Who doesn't love a good pizza? I know that I love the stuff... especially if I feel good after eating it. And that's what's so great about today's recipe! 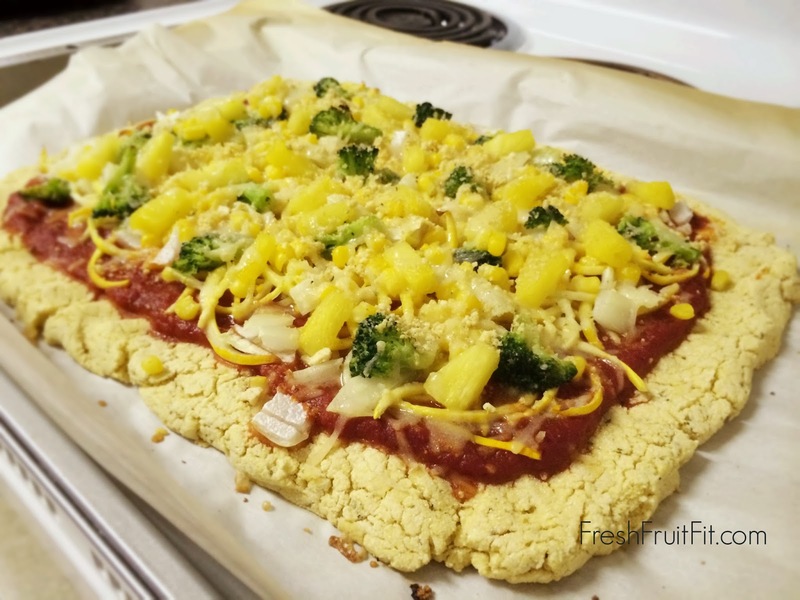 It's pizza you can feel good about! Preheat oven to 450 F. Line your baking sheet with parchment paper. Set aside. Place all dry ingredients into a large bowl, then slowly add water while stirring. Mix well. You want it to have the constancy of soft play dough. If it's too wet, add a pinch of flour. If it's too dry, add a dash of water. 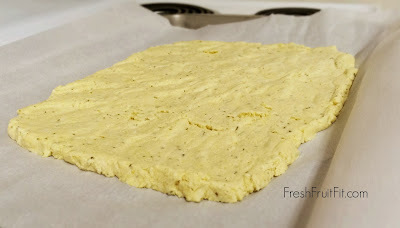 Place dough on lined baking sheet and press out with fingers or rubber spatula till it's about 1/4 in. thick (thicker for a more "doughy" crust, thinner for a more "crackery" crust). Bake crust for 10-20 min. (depending on how thick it is). The crust should be pretty much done. 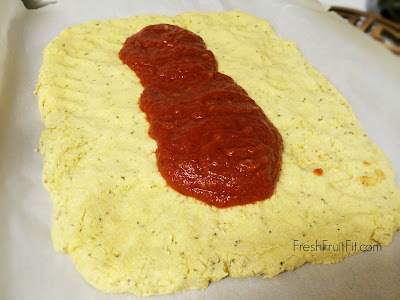 While the crust is baking for its initial 5-10 min., prepare Never Fail Red Sauce. When the crust is finished with initial baking time, top with the Red Sauce and then layer on your toppings. Bake for about 10-20 min. until the crust is golden and the toppings are warmed. Enjoy! 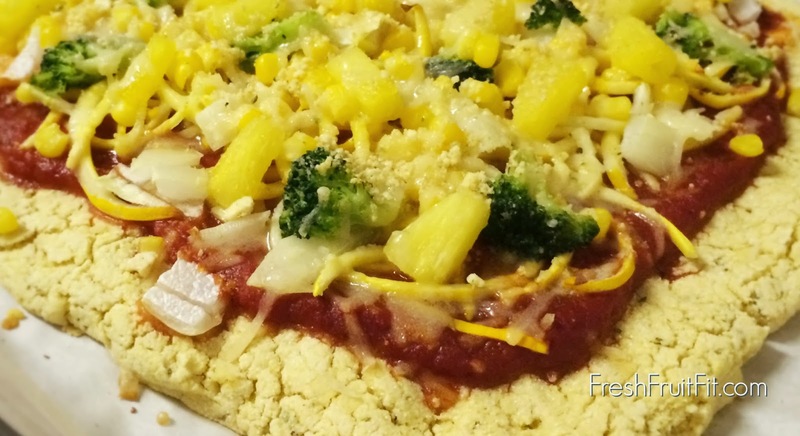 Want tips, tricks, and recipes for a healthy vegan lifestyle? Subscribe!